Mirror Finish Valeting provide a first class mobile valeting for any vehicle, at any location, anywhere in Devon and Somerset! They can provide a basic wash through to a platinum valet - which is good as new. Their friendly and professionally trained staff guarantee the highest standard is delivered every time! Mirror Finish Valeting required a professional website to promote their unique auto cleaning services. A gallery was required to show before and after pictures of some of the cars and vans that they have successfully cleaned to a very high standard. 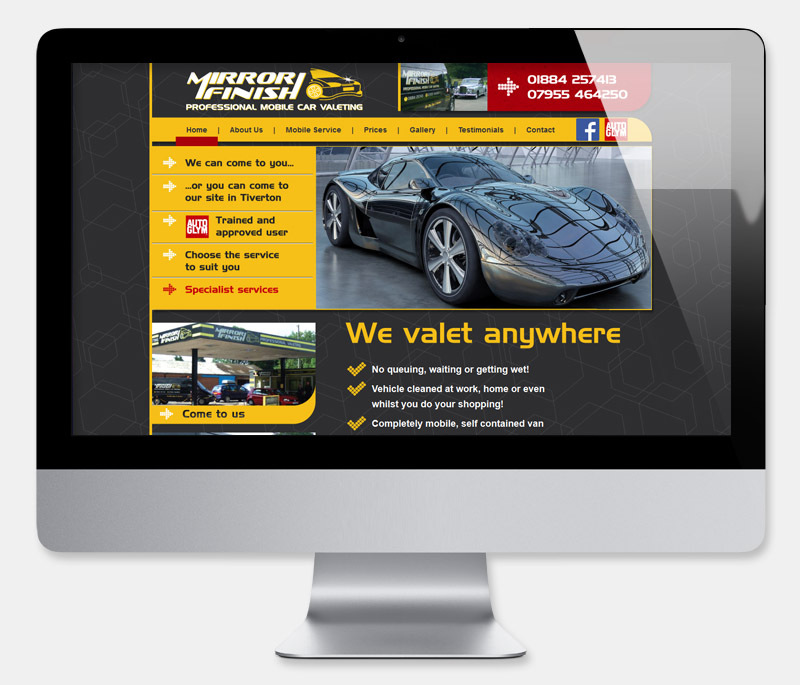 A slick, professional looking site was designed to show off Mirror Finish' Valeting and Auto Cleaning skills. Images of highly polished show room style cars were used to illustrate how good they are at their job. The Gallery and Testimonials section add an extra level of refinement to the site.